This pen is lovingly used, but is as new. Its has been inked, but has no sign of really use. It has a Fine nib, other nibs can be fit on it. So if you prefer something else than a fine, contact us and we will see what we can do for you. More than five thousand years ago Homo-sapiens marked the dawn of human history and the invention of writing thus began. The same age discovers metallurgy, allowing the mastery of metals which signified the beginning of human evolution all the way to the invention of the wheel. The first great civilizations arose on the Nile, Tigris and Euphrates river banks and soon began the development of sciences like algebra, geometry, astronomy and engineering. 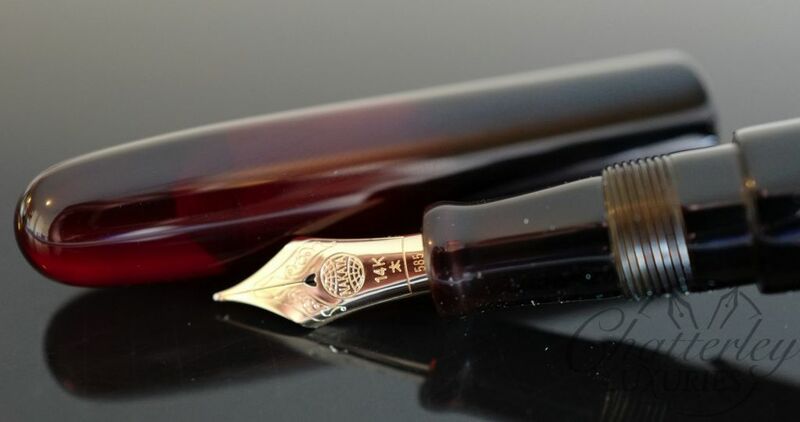 Visconti conceived the Homo-sapiens range of writing instruments for real writers, for those to whom the fountain pen continues to represent an essential travelling companion, a daily friend to share the same civilization that writing helped create. 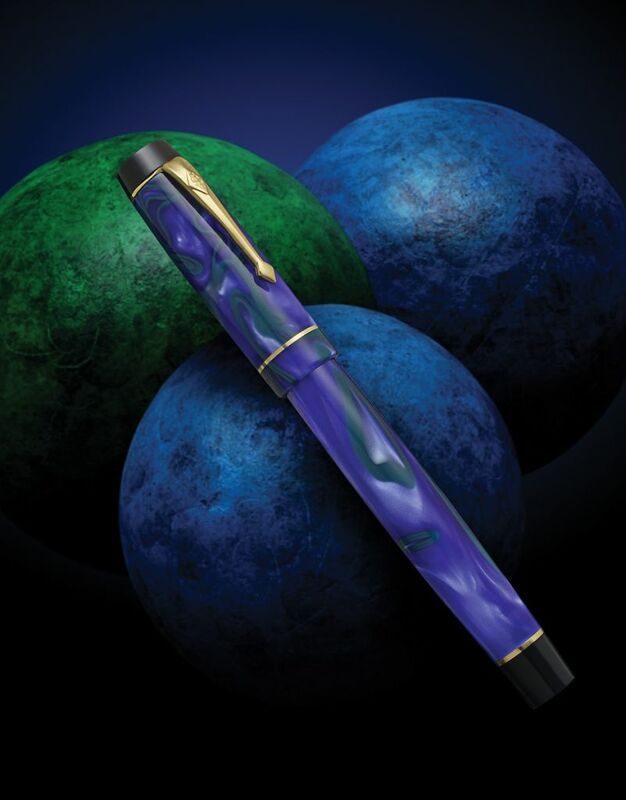 The pen is made from a material that is as antique as the world around us: lava from the Etna volcano. Lava has many characteristics that make it very unique in the manufacturing of writing instruments. 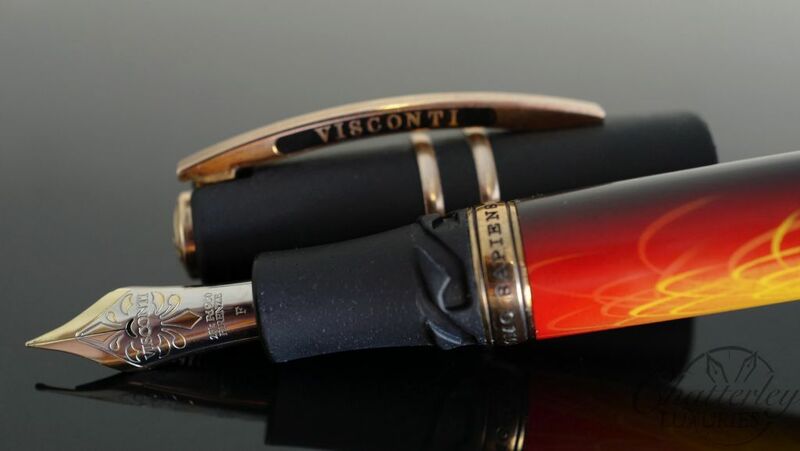 Visconti has successfully produced a material containing over 50% pure basaltic lava, catalysed together with resin in a formula that is patented and obviously kept secret. The extraordinary characteristics of basaltic lava practically transform it into a material perfectly fit to writing instruments. 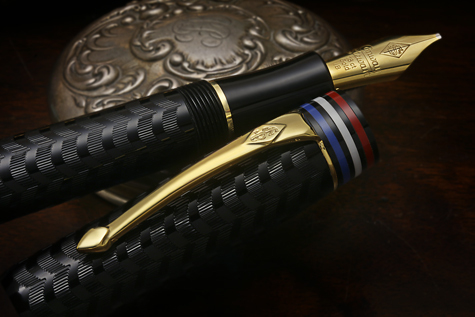 This pen is a Homo Sapiens Bronze fountain pen by and Visconti hand painted by Mazzi. These pens are sold out now. Get this one at a great price. 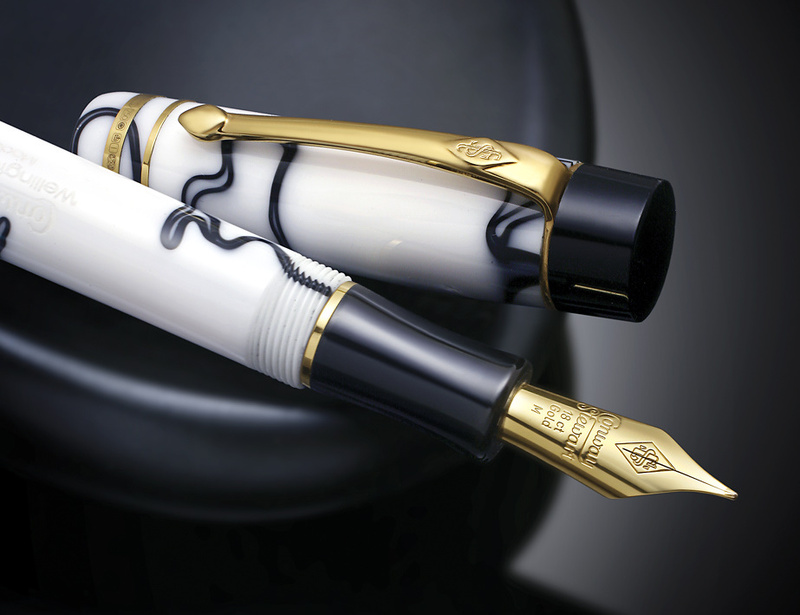 A true artistic Fountain Pen. Clip: Visconti enameled clip 100% bronze.